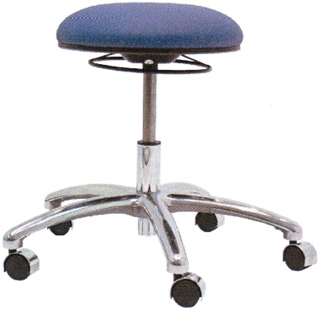 Gibo Kodama 1000PL Series Desk Height Stool offers a basic round stool with multiple height ranges. The size and available options fo the 1000PL Series make it the perfect special application chair. It can easily fit in areas where other chairs are too large. Our stools can be found in many diverse settings including laboratories locker rooms medical offices and automotive plants. Actual Chair Appearance May Vary Depending on Class and Options.